OCFH Featured! | Oh CHIC Fancy Huh!? Features of yours truly on other fabulous blogs and websites! Happy Monday everyone! First let me say, I apologize for the lack of outfit posts. Not only am I in the midst of finalizing plans for my relocation, but I am also getting ready to spend time in New York for fashion week so I am crazy busy! Anywho, 2012 has been amazing thus far and I have been presented with awesome opportunities. A few weeks ago I was contacted by Neil Alvin of blackandkillingit.com and was asked to be interviewed and featured as one of the “black girls killing it”. What an honor! 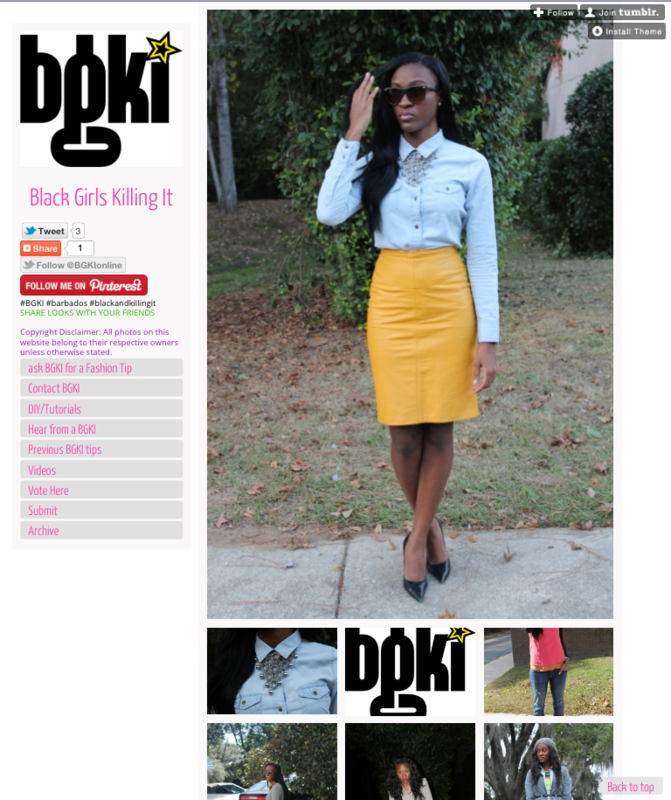 BGKI is becoming one of the most influential online blogs showcasing the style and beauty of women of color. I am blessed to have received the opportunity to be showcased and represent for the beautiful women of color out there. Get some OCFH in Your Inbox! :) Subscribe! Stay on top of the trends! Enter your email address to subscribe and receive your fashion fix via email! "How'd You Put That Together?"